As flood stricken locals show their exasperation and anger with the slow rate of relief efforts after deadly floods swept through most of Iran, Iran’s chief of police vowed to deal with unrest. “The Police will deal decisively with those who disrupt order and security in flood stricken areas,” the chief commander of the Law Enforcement Force of the Islamic Republic of Iran, Hossein Ashtari told reporters in the airport of the western province of Lorestan. 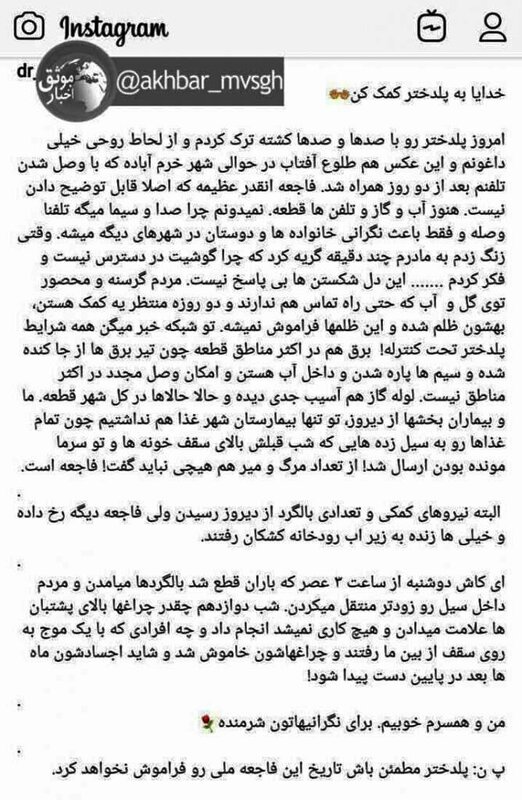 “My colleagues were by the people’s side from the very beginning and the days after the flood, the police force was reinforced in the town of Poldokhtar and more forces were deployed to the province (of Lorestan) and the town,” he added in comments carried by the IRGC affiliated Tasnim News Agency. 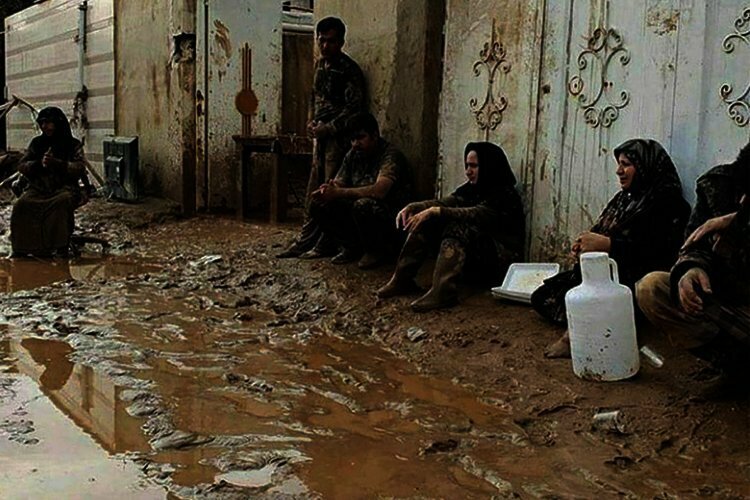 The regime in #Iran has no problem dispatching forces to flood-hit areas. However, they are sent to quell any possible protests. “The main duty of the Law Enforcement is to establish order and security in these areas, and to extend its security umbrella and to also carry out relief work on the side,” Ashtari said. More than two weeks after floods ravaged parts of Iran, Iranians are angry and frustrated with the slow rate of relief efforts by the regime. People are losing their patience & protesting regime's refusal/failure to provide any adequate aid to flood-hit regions across the country. Officials visiting some areas are forced to flee. The regime has tried to conceal the scope of the damage and the fatalities thus far and has announced that only 66 people died in the floods in the north, south and west of Iran. Iran’s Attorney General has even gone as far as warning the public not to publish any flood reports that the regime deems “fake” calling it a security crime. Despite this, local and eyewitness reports are published every day on the internet. Eyewitness reports say that hundreds of people lost their lives during the Iran floods, especially in the historical town of Shiraz and the western town of Poldokhtar. According to an Instagram post published by a doctor who works in a local hospital in Poldokhtar, “hundreds and hundreds” of people lost their lives in Poldokhtar. “Today I left Poldokhtar with hundreds and hundreds of fatalities and I’m very distraught”, he wrote adding that the scope of the “disaster was so extreme that it could not be explained”. He said that Iran’s state-run TV announced that “everything was under control” in Poldokhtar while there was no power and gas in many parts of the town. These claims were echoed by a soldier in a video published on social media who shows homes that were submerged in water and says that the residents who had all taken shelter on their rooftops were swept away. Officials have acknowledged the growing anger among flood stricken locals all over Iran. A video published today showed the head of a Revolutionary Guards Corps base in Ahvaz being attacked by furious locals wielding stones, shovels and sticks. It seems the regime is more focused on quelling protests and unrest than it is on carrying out relief efforts.